Lake Placid Lodging Accommodations Adirondack resorts motels inns vacations hotels cottages cabins shops stores shopping. Lake Placid lodging accommodations resorts Adirondack vacations inns motels activities hotels cottages cabins shops stores. Lake Placid Golf & Stay Packages Looking for a motel hotel lodging accommodations resort vacation inn cabin or cottage in the Adirondack park or Lake Placid. 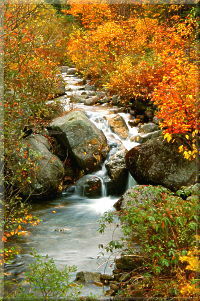 Lake Placid Travel for lodging accommodations resorts motels inns vacations activities and hotels. Lake Placid Vacation Packages. Great places to stay in Lake Placid Adirondacks. Many stores and shops for shopping. and activities in the Adirondack Mountains. Welcome to Lake Placid Travel, your guide to lodging accommodations, attractions, shops and services in Lake Placid and the surrounding Adirondack Mountain region. Are you planning a trip to Lake Placid or the Adirondack Mountains? Are you looking for a vacation resort, or lodging and accommodations for a family vacation or a romantic getaway? Will you be visiting Lake Placid to take advantage of the many outdoor activities, attractions and sporting events available? Looking for Ski & Stay or golf packages? Do you want a clean comfortable room while traveling through the Adirondacks? Regardless of your lodging or vacation requirements, start your search here! 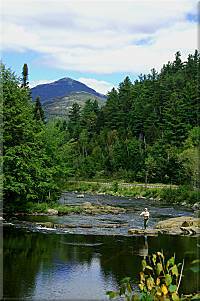 The Adirondack Park offers lodging accommodations for all tastes and budgets. You can find hotels, motels, inns, lodges, and B&B‘s that offer great packages. In winter there are Ski & Stay packages and Olympic Total Winter Experience packages. Shoot down a snow covered mountain or an ice covered Bobsled track. The warmer months bring emerald green golf courses with golf packages available and fly fishing on some of the most pristine waters in the northeast. There is hiking and/or snowshoeing on hundreds of back-country trails. Autumn in the Adirondacks Lake Placid is located within the six-million acre Adirondack Park, the largest park in the continental United States. This park is "dotted" with unique towns and villages which offer a plethora of activities for your next vacation. You can enjoy a spa while the family goes off canoeing or shopping. Enjoy a hot cup of coco after ice skating or snowmobiling. Sit on a porch and watch as the beautiful colors of Fall float gently from the trees. Whether you are looking for a cozy cabin or cottage, a full service resort, or a picturesque Inn, Lake Placid and the Adirondack Region has lodging accommodations to suit every taste and budget. So... What do you want to do today?